A Chinese startup whose apps can make users appear thinner and whiter in their selfies has been valued at $4.6 billion. Meitu's photo-editing and sharing software for smartphones is hugely popular in China and other Asian countries, attracting 456 million users who post more than 6 billion photos every month. That's a heck of a lot of selfies. The company has sought to cash in by selling shares in Hong Kong. But its failure to turn a profit appears to have dampened enthusiasm for the initial public offering. Meitu raised the equivalent of $629 million from investors, the company said Wednesday, valuing it at $4.6 billion. It sold shares at 8.5 Hong Kong dollars ($1.10) each, the bottom of the range it had targeted. Related: How a Chinese social media app made it big in the U.S. The shares made an underwhelming debut in Hong Kong trading on Thursday, ending the day at the same price at which they'd started. But the stock price makes little difference to the legions of people who use Meitu's products to manipulate their appearance with the simplest steps. "Meitu apps are my go-to photo editing tools before posting anything online," said Wang Xiaoying, a 23-year old college student in Beijing. 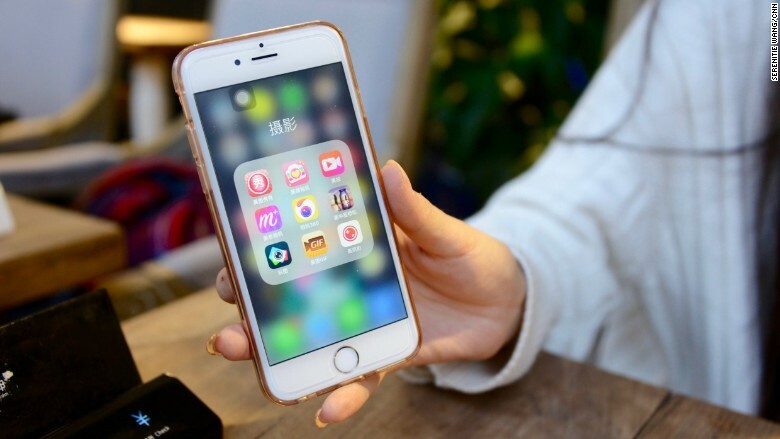 About 70% of social media users in China upload at least one picture to social networks every week, according to a report by iResearch, a China-based analytic agency, in June. More than half of the masses of selfies and other photos posted on China's major social media platforms were processed by Meitu's apps, it said. Wang takes her selfies seriously. As well as a student, she's a part-time model and a livestreaming host with 100,000 followers. 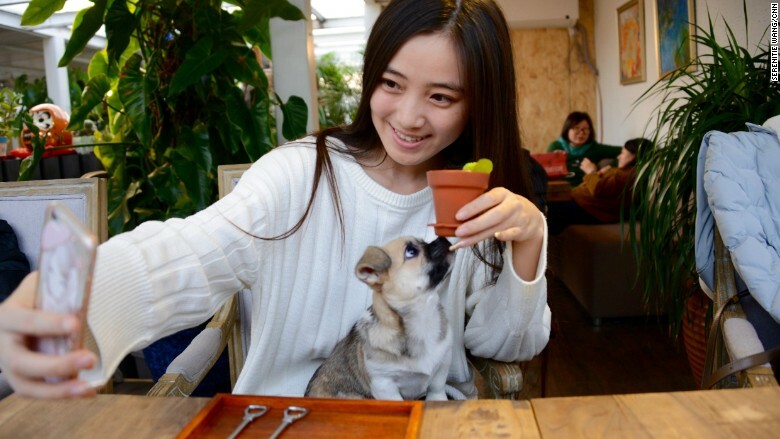 She has several Meitu products on her phone, including MakeupPlus, a camera that uses augmented reality to apply make-up to selfies, and Meipai, a live streaming video app with touch up effects and flattering filters. "They are ad-free, smart and user friendly," she said. "Meitu is all over the beauty trend in China, nearly every new feature goes viral." The company even sells a smartphone tailored to selfie addicts that comes with two cameras -- one on the back, the other on the front. But not everyone loves the aggressive touch-ups. Critics say apps such as Meitu skew the standard of beauty, imposing an ideal of pale skin, big eyes, pointy chins and skinny figures on its users, especially women. Despite its popularity, Meitu has yet to turn the billions of photos that flow through its apps into profits. It's been deep in the red since 2013 and posted a loss of 2.2 billion yuan ($320 million) for the first six months of this year. And executives have downplayed expectations of turning a profit anytime soon. Meitu closes out the worst year for tech public offerings since the 2009 recession with a whimper. Its offering fell far short of the biggest tech listing of 2016 from Japan's messaging app Line, which raised $1.3 billion.